Barry Kirwan Blog: How many books in a trilogy? Four, or five if there’s a prequel. Okay, technically there are three books in a trilogy, and I’d always intended it to be just three, but it has turned into four – a tetralogy, to be precise (quadrology is passable but technically it’s a tetralogy). In science fiction these days, this seems to be the way to go - trilogies are almost a thing of the past, and 'series' are 'in'. Foundation, for example, in a couple of weeks. But science fiction readers often want to hear more, so series began, such as Dune (I stopped counting after twelve, the first seven by Frank Herbert, the rest – at least ten more – by his son Brian Herbert and Kevin Anderson). Most science fiction sagas don’t go on that long, but Arthur C Clarke’s Rama series (couldn’t get enough of it) went to four, Orson Scott Clarke’s Ender series went to six, and Dan Simmons’ Hyperion also went to four, really two linked duologies. 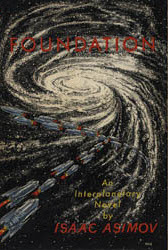 And of course Asimov himself extended the original Foundation series some years later. 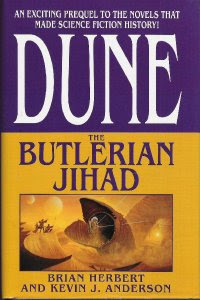 Dune in particular went crazy on prequels, the prequels outnumbering the original series, but some of these were very welcome indeed, for me those involving the 'time of the Titans' and the discovery of spice-based travel and the origin of the ‘sisters’, was more than fascinating. In the Eden Paradox series I’m not planning a prequel – though there could easily be one as the roots of the series begin in the eleventh century A.D. The closest I have come is the Prologue in Eden's Revenge, set in the sixteenth century, showing how Sister Esma came to be her likeable self. So, why on Earth (or Eden) couldn’t I finish it in three books? Is this just another example of an author trying to stretch out his profit margin? Actually, no. 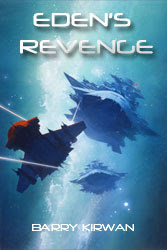 Halfway through the final book I realised there was going to be a ‘game-changer’ in the plot, and it was going to make Eden’s Revenge too complex. Also, the theme of book 3 is revenge, whereas the underlying theme of book 4 (Eden’s Endgame) is redemption, at least by the end. I needed space between those two. So, “what’s the ‘game-changer’?” you may ask rhetorically, assuming I’m not going to tell you. Well, actually I am. Below is the current draft opening of Eden’s Endgame. The series is really two duologies; the first two (The Eden Paradox and Eden’s Trial) are about humanity’s introduction into a hostile galactic society, where we are nearly wiped out, betrayed by our Alician cousins. The second two (Eden’s Revenge and Eden’s Endgame) are about how humanity gets caught up in a galactic war, fighting with allies against the galactic invader Qorall, who seems unstoppable. In the last book, desperate measures are taken. Well, see below. Jen watched the planet’s surface grow large as she and Dimitri sped towards it, helmeted heads first, like two silver bullets. At least there was no atmosphere to worry about. The planet was dark, as if in night-time, though this was the side facing the system’s red dwarf star. As she tried to look closer, her helmet sensors registered the ocular effort and zoomed in via her visor. No distinguishing marks, a flat plain of gun metal grey dust, an ocean of iron filings. It was all that was left of the Level Eighteen species that had almost taken over the galaxy two million years earlier, a race of machines. The other inhabitants at the time had barely survived, but had finally put them down, leaving nothing but this tomb planet of disintegrated machines, ten kilometres deep with their ashes. And now she and Dimitri were there to try and find a machine remnant, and wake it up.